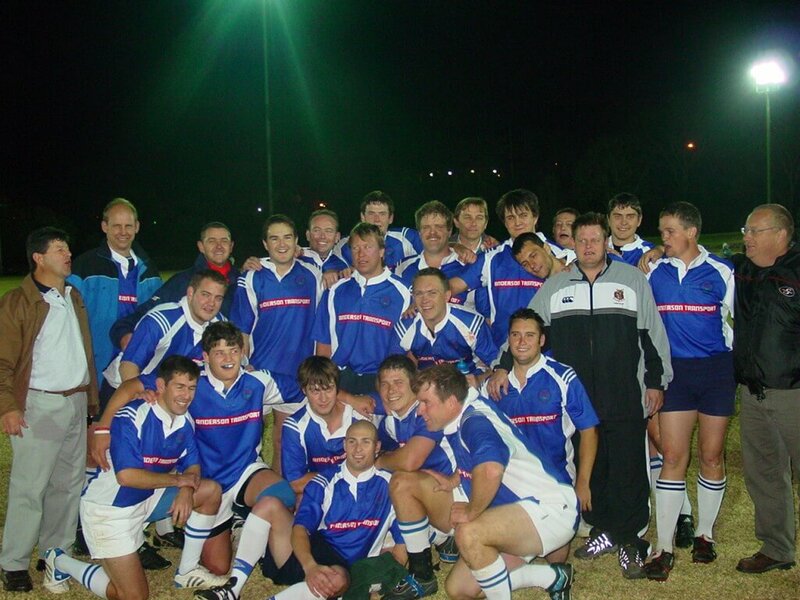 Ngodwana Rugby Club (South Africa) are featured here after winning a fantastic game of rugby. Stud Rugby manufactures custom rugby shirts using top end fabrics, cutting edge styles and designs. As our production lines are set up for the quickest possible turnaround times, let us make your rugby team a winner on the field as well! The rugby jersey design that this team choose was a basic royal blue and white. With sublimation sometimes the most simple rugby jersey design creations show up the team name and sponsorship giving the sponsor the best possible mileage. The centre belly is the most prominent position for a sponsor to place his logo on the rugby jersey. Although smaller another popular position for team sponsors to place their logo is on the back above the number. This position gets viewed in all the rugby scrums and line outs and just generally as the team runs out onto the field.